On Friday August 12, 2018, UMASH had the opportunity to get to know our neighbors of the north. 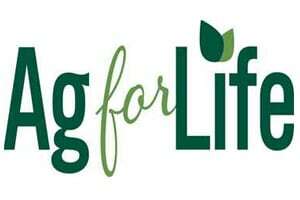 Ag for Life, a charitable organization based in Alberta, Canada, focuses on agriculture education and safety programming for children and young adults. Luree, CEO of Ag for Life, and Sarah, Director, Rural and Farm Safety Programming, visited with UMASH after attending the Child Injury Prevention Workshop hosted by the Children’s Center for Rural and Agricultural Health and Safety. Ag for Life reached out to UMASH knowing they would be nearby for the workshop, and their visit was a great opportunity for both organizations to highlight projects, resources, and share strategies for improving agricultural health and safety. Ag for Life has a traveling trailer that “drives safety to communities” and is filled with interactive stations that promote rural and farm safety, with youth as the target audience. Our organizations looked through more resources, where we both talked about our checklists: the UMASH Farm Safety Check and Ag for Life Farm Safety Walkabout. Ag for Life stretched their legs on a quick tour of the University of Minnesota before a safe trip back to Alberta.